Now, I have encountered all manner of unusual German spirits, ranging from pleasant fruit brandies to noxious herbal concoctions originally intended to be medicinal. But a Bavarian single malt? I asked the bartender about it, and he had actually visited the Slyrs distillery, set in a small town on the Schliersee (Schlier Lake). This venture, conceived by Florian Stetter after a visit to Scotland’s Speyside region, began producing whiskey in earnest only recently, in 2007. But the spirit, aged in new American oak barrels, left the bartender impressed. 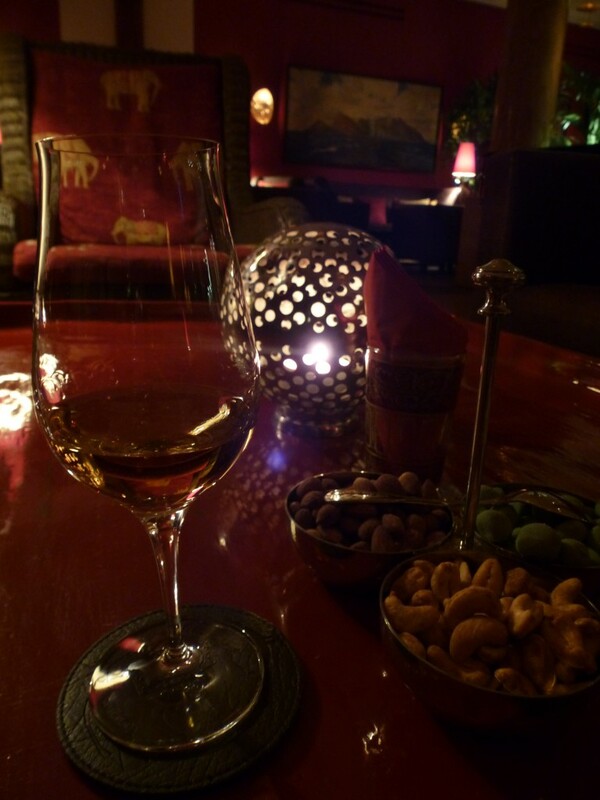 Intrigued, I ordered a glass of the Slyrs whiskey neat — I wanted to see what this spirit could do on its own. Because the distillery is so new, you won’t see any Slyrs whiskey older than three years, and indeed, the whiskey tasted young and brash. A light bronze color, it had a fresh, herbaceous nose with notes of vanilla. On the palate, herbs and racy spice quickly supplanted the initial caramel richness, leading into a surprisingly long finish of new wood. Unfortunately, this fun, zesty whiskey has yet to cross the Atlantic — I couldn’t find anyone selling it in the United States. But should you happen to find yourself in Bavaria, don’t hesitate to slap on some Lederhosen and ask for a glass of Slyrs.